If you’ve done a road trip before, you know the beauty of it lies in its unexpectedness. Taking a shot left to enjoy a picnic on the hill by the roadside, stopping at a local restaurant in the smallest of villages or talking to strangers soon friends at the lodge bar until the stars twinkle in the sky. And while this is what makes a road trip the memorable experience it is, a self-drive tour around Namibia is not a quick drive from London to Birmingham. You will spend long hours in a car, so opt for comfortable and loose clothing. No one needs skin tight jeans in the desert. Even though the sun will be shining brightly, no need to pack neon-coloured dresses in pink and yellow, if you are planning to observe wildlife in Etosha National Park. Don’t take military-style apparel either or you may get into trouble with the local authorities. To avoid mosquito bites wear long-sleeved shirts and pants from dusk till dawn. No worries, once the sun sets, temperatures will drop significantly. No need to feel embarrassed when shoving your pants into your socks – prevention is better than cure. 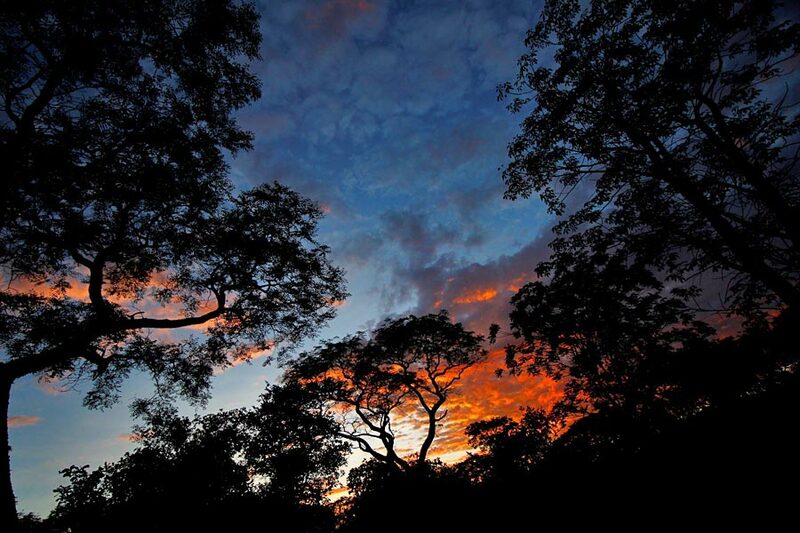 If you live in a city, you may be surprised how very dark Namibian nights are. Especially in southern Namibia, there are not many people around, hence only few towns or settlements contribute to “light pollution”. If you’re not travelling during a full-moon, you have to have a torch. Use a head-torch and keep your hands free. Remember to take spare batteries. Yea, sure thing, you always bring these along once you travel further south than the Alps. But we can’t stress this enough. Whether it’s sunny or overcast, the sun in southern Africa is strong. Always carry high quality sun glasses and sun screen with high SPF when on a self-drive tour in Namibia. Here, your sun glasses are not a fashion statement. They got work to do. Did you know, sun glasses without UV protection are worse than no sun glasses at all? The dark glasses make your eyes believe they are protected. Your pupils enlarge, offering more surface for the harsh rays to damage your eyes. This should be part of your rental car’s equipment. Double-check that it’s accessible and up to date. You may want to carry your own first-aid kit along as well. Self-driving in Namibia is generally safe. However, the road conditions are often difficult and accidents can happen in a split-second. Consider doing a first-aid refresher course so you know what to do when you encounter the scene of an accident. There may not always be a hospital near-by, so make sure you know what to do in an emergency situation. 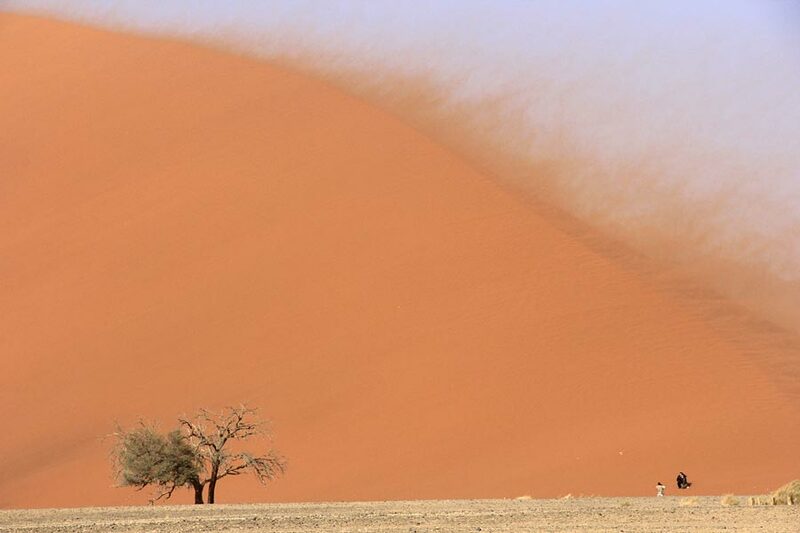 Namibia is desert country. You don’t have to be very talented or have great equipment to take spectacular photos; Namibia does the work for you. It’s almost equally spectacular to see how small sand grains can be, troubling your camera gear. Bring a waterproof – at the same time dustproof – bag to carry your camera. Remember you will be climbing up and running down dunes, so bring a small bag that carries only your camera, while you leave your second and third lens behind. Extra: Bring your binoculars as well! They will come in handy while on game drives. Choosing your car is probably just as important as choosing your route and accommodation. You’ll spend many hours on the road, so you will want to make sure you’re safe and comfortable. While the roads connecting the major towns of the country are paved, most roads in Namibia are gravel. 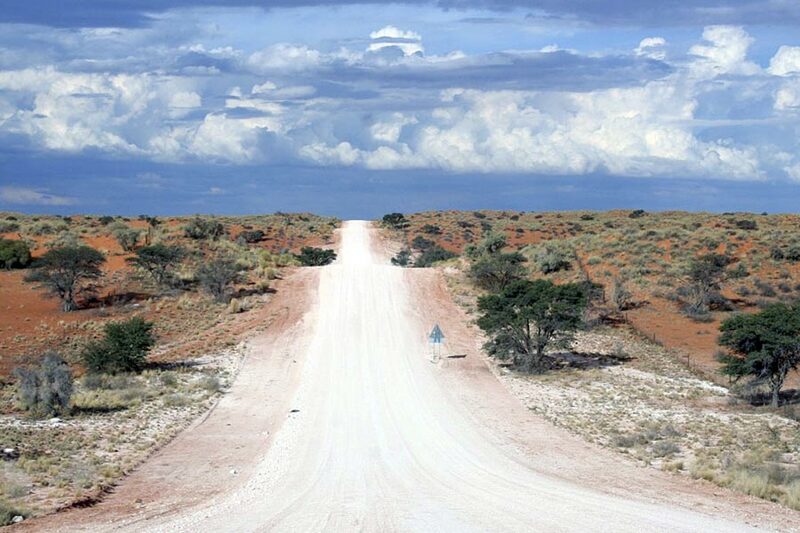 Expect long and straight and long and straight roads, but don’t be fooled: seemingly easy to drive, with little to no traffic, you shouldn’t go over 100km/h as sand and gravel can make it slippery. While normal 4×2 vehicles are fine for many parts of the country and times of the year, investing that extra cash in a 4×4 will give you more leg space and freedom to go off the beaten track. Chances are high you will have a flat tyre sooner or later. If you don’t, lucky you and well done. There are ways to avoid it: apart from having a car with good quality and all terrain tyres, the tyre pressure is crucial. Ask your car rental, but also your lodge manager or petrol attendant which pressure is best for the region you’re travelling through. Never venture out without a spare tyre and knowing how to use it. The breathtaking vastness Namibia is so famous for brings with it a scarcity of petrol stations. You’ll be surprised how few people you will see when self-driving around Namibia’s south, never mind petrol stations. Therefore, carefully map out how far you can travel before you have to fill up again. Fill up whenever you can, even if the tank isn’t empty yet. And don’t be too hopeful to stock up on chocolate or crisps while filling up. 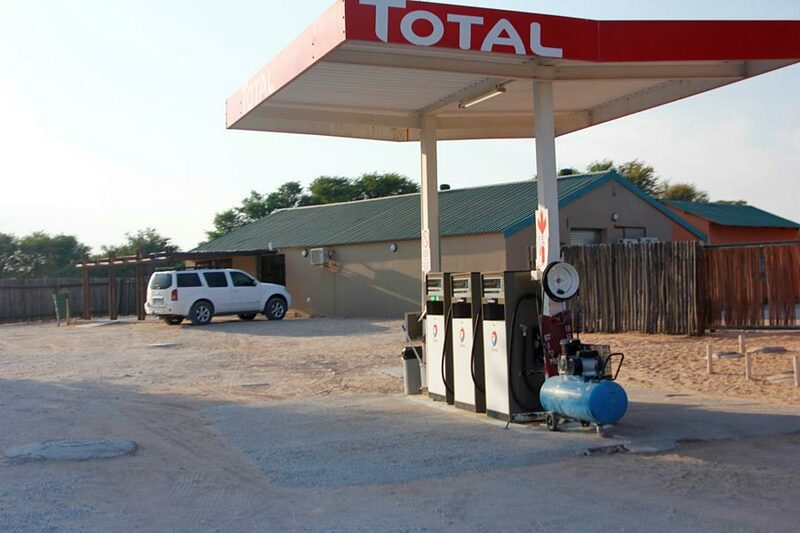 Most Namibian petrol stations cater for cars not humans. Remember to tip your petrol attendant, about 10 NAD. Always bring cash as not all will have a card machine and those who do, might not have connection to the network. Even if you’re planning to use Google Maps or a GPS, do take a normal road map along as well. It makes life in the middle of nowhere so much easier. Don’t only open it at the airport, but familiarise yourself with the route before your start your self-drive tour around Namibia. Learn the 4-Way-Stop: admittedly, there aren’t that many intersections where you should expect a lot of traffic. Most of the time, you’ll be driving straight with no other cars in sight. 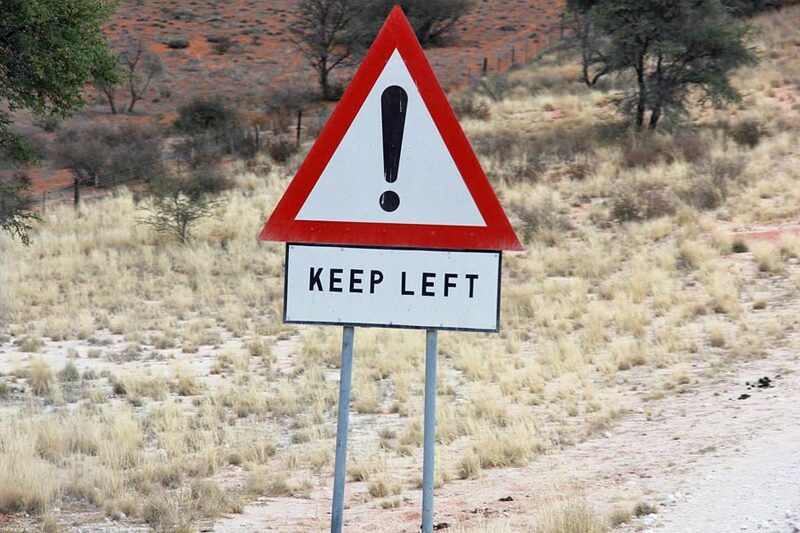 But if you do, remember that right of way is with the car that arrived first. You arrived second, you drive second. Plan your day to arrive at your accommodation before sunset. Self-driving in Namibia in the dark is not advisable as animals may jump in front of your car. An experience you want to avoid at all costs in a country as scarcely populated as Namibia. You will need a driver’s license in English language. If you don’t have one, get an international driver’s license. Self-driving in Namibia you won’t encounter too many road blocks, but if you do, for example in Windhoek, you want to have all documents you need. If you open any gate of any kind, close it. Otherwise you’ll get farmers in trouble who have to search for their livestock. Avoid waste! 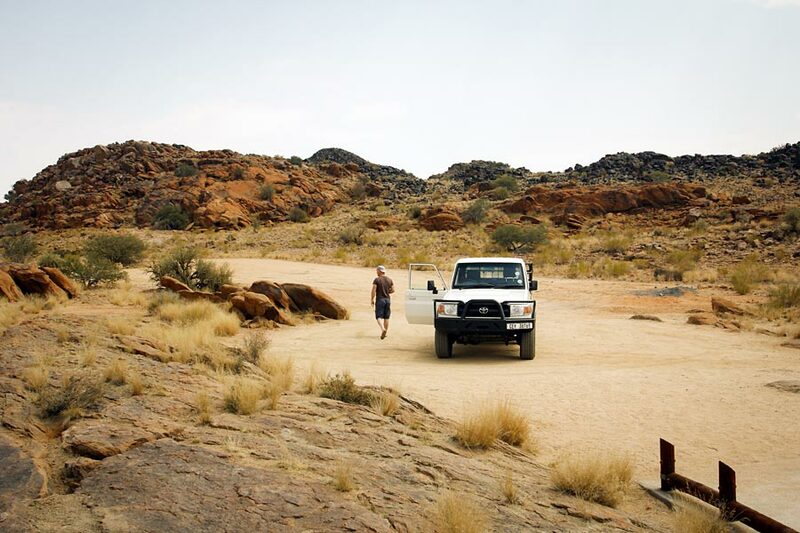 A self-drive tour in Namibia has the potential to create quite a bit of waste since you‘re always on the move. Instead of grabbing the coffee to-go in a plastic cup, fill it in your re-usable coffee cup you brought from home. If you ask your lodge for a lunch box, bring a container from home to store it. Recycling in Namibia is not as common as it likely is in your home country. Reducing waste is your best bet. Water, water, water – have it on you, always. Avoid small 500ml bottles as you will need at least six of these a day and they create a lot of waste. Instead get the bigger jugs and fill up your thermos. Enjoying the silence is one thing. As a back-up plan bring CDs, audio books and podcasts. Don’t rely on your radio to have signal. Get a Namibian sim card and top it up with airtime. It doesn’t cost much and in case of an emergency it can save lives. One more thing: Namibia is a very water scarce country. Treat water as the precious resource that it is. 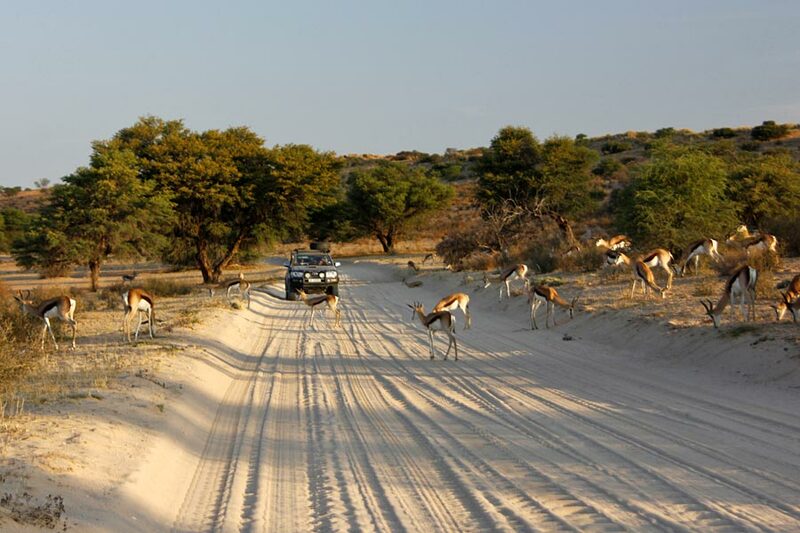 Are you ready to hit the road for your self-drive tour around Namibia? We’ll help you plan your trip and share more advice whenever you need it. Let’s go!